— In order to integrate resources, centralize displaying branded ceramic and bathroom products, and create a platform to push ceramic and bathroom industry to transform and upgrade and build up high quality brand. 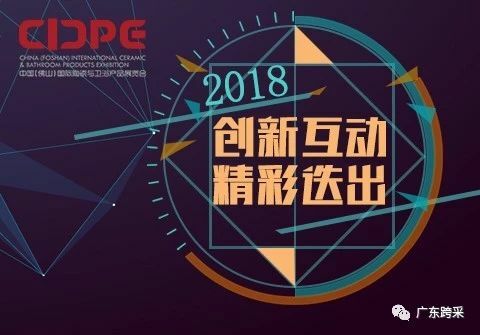 Co-hosted by China Building Materials Federation, China Ceramic Industrial Association, China Council for the Promotion of International Trade, Building Materials Sub-Council, and Guangdong Ceramics Association, 2018 China (Foshan) International Ceramic & Bathroom Products Exhibition (CICPE) emerged as the times required, bearing the “China ceramic dream”. — Positioning in high-end and mainstream, CICPE emphasizes on founding a prestigious exhibition, commits to build an international, high-class and professional ceramic and bathroom brand, and focuses on vigorously implementing brand strategy on the basis of scale effect; moreover, CICPE is aimed to enhance the comprehensive influence of the brand from China ceramic and bathroom industry, fully demonstrate to the world the image of high level & original China ceramic and bathroom industry and gradually cultivate CICPE as the vane of global development trend. 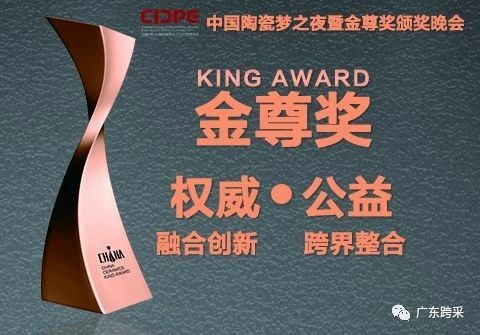 — China Ceramics King Award is one of the high-level, authoritative and fair prizes that represent China ceramic and bathroom industry, adopting the method of "blind assessment" to ensure the openness, impartiality and fairness of the prize, and to create ceramic industry authoritative award selection precedent. — Invite hundreds of domestic and foreign real state dealers to visit and discuss business and invite some core enterprises to hold Summits to build up a platform and enhance the communication between buyers and suppliers. — Plan to gather experts from Guangdong-Hongkong-Macau Bay Zone and host an interior design thousand people conference to enhance the interaction between interior designers and ceramic enterprises, promote the development of Housing industry and lead the trend of building and decoration industry. — Establish a cooperation network for the main ceramic manufacturing countries, invite and cooperate with ceramic associations of different countries, visit all the ceramic manufacture areas all over the country to have a better understanding of the need of ceramic enterprises, build up a comprehensive service system for ceramics industry chain, peer to peer invite professional buyers to come to the exhibition and discuss cooperation, and set up a number of shuttle buses to pick up buyers from Canton fair, etc. — During the exhibition, there are a rich variety of activities, such as a series of salons in regard to protecting intellectual property of exhibitors, arranging designers to visit exhibition halls, sharing of famous designers and as well as different kinds of forums, so that visitors and exhibitors have the opportunity to interact and know each other better and sublimate the value-added services derived from CICPE. | China (Foshan) International Ceramic & Bathroom Products Exhibition (CICPE) is an exhibition that concentrates more on providing viewers with better experience of product features and product promotion; even further, CICPE fixes eyes on providing exhibitors with value-added in establishing of various information channels, effective customer communication, plans and services of industry trend. 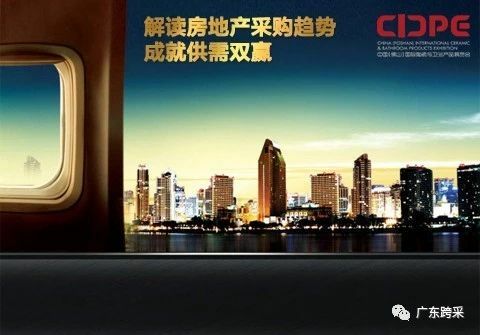 | Integrating preponderant resources of China ceramic and bathroom industry, CICPE is a high end international ceramic and bathroom product exhibition, and it is also a display and promotion platform to cultivate national brand to enter the world. 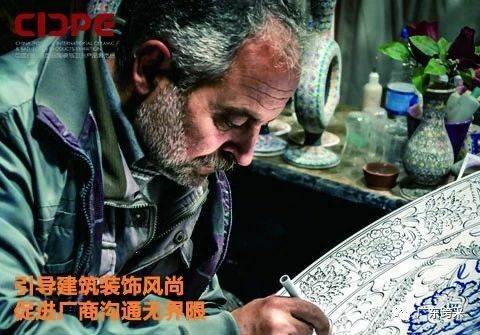 | Thanks to “the Belt and Road” strategy, CICPE is able to gather the greatest advantages and resources from the ceramic industry to establish international self-owned brand, to develop internationally famous brand, and to enlarge the share of China self-owned brand in international market. 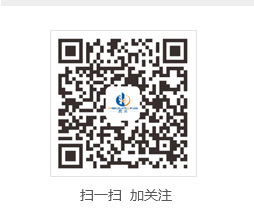 Furthermore, CICPE also help to construct a prestigious platform, increase the trade volume, enhance brands popularity and enlarge the market value; it can truly promote the ceramic & bathroom industry development, and accelerate the improvement of China international status. | CICPE strives to show China's high-end original image of ceramic and bathroom industry, motivate ceramic and bathroom products to innovate, change introducing technology and copying design to lead the trend, guide the ceramic and bathroom enterprises speed up the transformation of development mode under the new situation, adhere to continuous innovation, increase the intensity of energy conservation and emissions reduction, construct a ceramic China dream to realize industry greening, brand globalization, marketing internationalization and technical innovation and promote the deep transformation and upgrading of ceramic industry. | Operation mechanism of CICPE is to work in line with the market, connect with enterprises, integrate with international, and take advantage of local and leading enterprises, used capital as tie, to promote the industry upgrade and motivate the development of China ceramic and bathroom industry through a series of measures such as technological innovation, product development, energy conservation and environmental protection and the establishment of industry authority standards. | Foshan is one of the most competitive ceramic manufacturing areas currently in China. It has a solid ceramic foundation and a complete industry system. It is influential and its manpower resource is adequate. Enjoying national and global fame, embedded with historical cultural deposits and local features, ceramic industry is also the traditional pillar industry of Foshan. Foshan has been honored as “China Famous Town for Ceramic”, “China Ceramic Valley”, “China Characteristic Industrial Base of Building Ceramics and Sanitaryware ”, “China Export Base of Building Ceramics and Sanitaryware”, “No.1 Town of Building Ceramics in China ”, “Guangdong Demonstration Area of Industrial Cluster Upgrading”, “Guangdong Ceramic Town” by relevant departments of the state and the province. On March 21st, 2017, AQSIQ and CQC hosted the Construction of Demonstration Zone of National Well-Known brand and 2016 Regional Brand Value Evaluation Result Release Conference, in which, “Foshan ceramics” won the 4th prize of the Regional Brand Value Evaluation Ranking List and ranked the 1st in Guangdong Province, with the brand value of 42.956 billion and the potential brand value of 82.5 billion. | To host CICPE in Foshan will gather global ceramic enterprises (like Italy Marazzi, America Kohler, Japan TOTO, etc. international brands), design and research institutions, supporting enterprises to exhibit, and attract global dealers, users, construction and design units to visit, which develops the influence of Guangdong (Foshan) ceramic around the nation and even the world, and makes Guangdong (Foshan) become the new cord of global ceramic and bathroom industry. — — To host CICPE in Foshan will gather global ceramic enterprises (like Italy Marazzi, America Kohler, Japan TOTO, etc. international brands), design and research institutions, supporting enterprises to exhibit, and attract global dealers, users, construction and design units to visit, which develops the influence of Guangdong (Foshan) ceramic around the nation and even the world, and makes Guangdong (Foshan) become the new cord of global ceramic and bathroom industry.